If you don’t like the career you’re in, you might want to work in the swimming community and be a part of our big swimming family! Go here to see 1858 Swim Jobs. 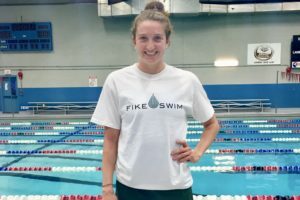 The Head Swim Coach will oversee the YMCA Swim Team practices and meets, in line with the YMCA’s serving beginning to advance competitive athletes. The St. 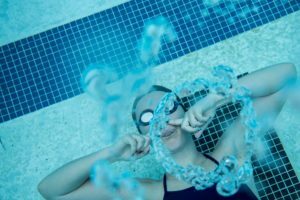 Cloud Area Family YMCA has an amazing feeder program from swim lessons, to prep, to competitive swimmers, including national-caliber athletes. Coronado Swim Association is a year-round competitive swim team located in Coronado, CA. 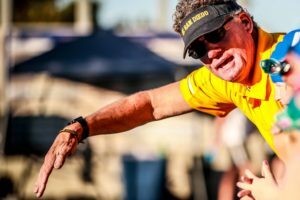 The team typically averages 100 members ages 6 and up from novice to Junior National qualifiers, and has been in been in Coronado for 55 years. Coronado Swim Association is a non-profit, board-supported program. We are searching for an energetic head-coach/executive director to develop our swimmers and continue to grow our program. The Assistant Swimming Coach is responsible for assisting the Head Swimming Coach with the management and administration of all activities related to his/her sport including recruiting, training, and coaching student-athletes participating in the sports. The Assistant Swim Coach is fully responsible for compliance with National Collegiate Athletic Association (NCAA) regulations as well as Great Lakes Valley Conference (GLVC) rules and all College policies and procedures. The Aquatics Program Coordinator facilitates the operations of the Osborn Aquatic Center through development, implementation, promotion, and oversight of water safety education, fitness, therapy, recreation, certification and other programs for children, adults, and/or senior citizens. The Head Swim Coach plays an integral part in the continuum of quality swim instruction at The Wave. 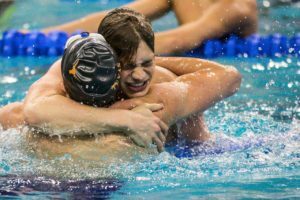 Providing a positive environment where each swimmer has the opportunity to reach their potential as a swimmer technically, physically, and mentally. SafeSplash Fremont is looking for friendly, caring, energetic, and fun loving Swim Instructors, great pays and guaranteed hours. These jobs are ideal for college students, stay-home parents, and professionals. 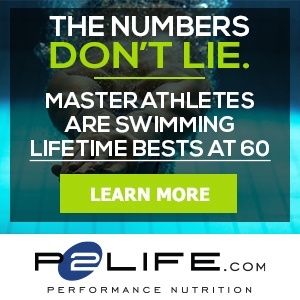 Local or past competitive swimmers, swim instructors are highly desirable. Submit your resume today! The two-time Texas Recreation and Park Society’s Gold Medalist New Braunfels Parks and Recreation Department is looking for passionate and enthusiastic people to be valued team members of DAS REC, New Braunfels Recreation Center. DAS REC provides 77,000 square feet of something for everyone. For more information visit www.dasrec.com. 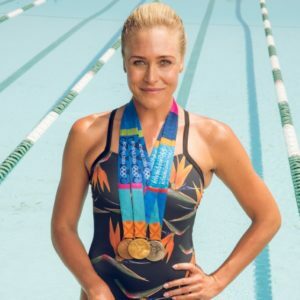 Candidates should have 3+ years coaching experience, be energetic with an understanding of swimmer development and stroke technique, a “self-starter” with a strong work ethic. Candidate must also be a team player who is able to work with other coaches in a leadership and assistant capacity. The University of Mount Union is seeking applicants for the Assistant Coach position for the 2018-2019 season. This is a full-time position with benefits. You will work with both the Men’s & Women’s Swimming & Diving teams. Mount Union is an NCAA DIII school competing in the Ohio Athletic Conference. The college is located in Alliance, OH and features approximately 2,300 students on campus. The natatorium was recently a part of a multi-million dollar renovation to the athletics building. Assistant Coach will experience all facets of collegiate coaching with instruction and aid. The Lionville YMCA, located in suburban Philadelphia, is a cause driven non-profit, where we strive to strengthen the foundations of our community through youth development, healthy living, and social responsibility. Velocity Swimming is one of the top teams in the Inland Empire LSC and is a team with high expectations. Swimmer abilities range from beginning swimmers to Winter Junior National, Futures Championship qualifiers, and Age Group Regional Champions. Velocity has won 4 LSC (Inland Empire) Championship meets (one short course and 3 long course) in the last 5 years. The team is a USA Swimming Level 3 Club Excellence award winner. Tiger Aquatics – A Louisiana Swim Club with 4 sites located in the Baton Rouge area is seeking a full-time age group coach that will work with our two entry level groups at our main site located on the campus of Louisiana State University. Tiger Aquatics is a coach owned program run as a LLC. We do have a booster organization that works on enhancing the swimming program at all of our locations. Ages are primarily between the age of 6 and 10 with group size ranging from 15-30. As the first coach many of these athletes will have, the applicant must be enthusiastic, patient, focused on technique and making the sport fun. T3I Coaches assigned to the Special Warfare (SW) Preparatory Course at Lackland AFB, San Antonio, TX, provide training and development of the Air Force’s (AF) future SW Airmen (SWA), who are organized, trained, and equipped to deliver distinctive expertise in combat and other high-risk environments. As the only AF capability specifically designed to primarily operate as surface combatants, SWA directly assist, control, enable, and execute air and space-power capabilities to conduct: Joint Fires Integration, Special Operations, Personnel Recovery, Tactical Airlift Operations, and Special Weather Operations. Brandeis University seeks to hire a Temporary Assistant Swimming & Diving Coach to assist the Head Coach in all aspects of coaching the team which competes as an NCAA DIII program and as a member of the University Athletic Association (UAA). Mecklenburg Swim Association (MSA Swim) in the Charlotte, NC area is looking for a coach to assist in our Age Group and Developmental Programs coaching primarily 12 and Under swimmers. Responsibilities of this position include coaching, assisting in dryland, as well as administrative duties related to the group and overall team operations. The ideal candidate will have a bachelor’s degree, experience with swimming as a coach or athlete, excellent organization and communication skills, and a desire to study and progress as a coach and a professional. Davidson Collge is seeking to hire a full time Head Diving Coach for its NCAA Division I Men’s and Women’s Swimming & Diving programs. This position will recruit student athletes, train and prepare them for competition, and perform administrative duties related to a collegiate swimming & diving program at a highly selective liberal arts college. The Flemish Swimming Federation and Swimming Club Brabo Antwerp are to join their forces for the selection of promising youngsters and elite swimmers in a new high performance center. We are inviting two highly motivated coaches to fill in coach positions and sustain the efficacy of the organization. Pfeiffer University is seeking qualified candidate to fill the position of Women’s Swim Head Coach/Aquatics Director. The selected candidate is responsible for all aspects of planning, developing and coaching the women’s swim team within the guidelines of the NCAA DIII rules and regulations. Provide leadership and instruction in personal and athletic development of student athletes at Pfeiffer University. This is a full-time, 12 month position who reports directly to the Director of Athletics. approved budgets set by the Club. Being responsible for the behavior, discipline and actions of athletes during practices, competitions, and other organized swim team activities. Coaching one training group on a daily basis and other training groups on a temporary basis as required to maintain the continuity of the training groups. The Head Site and Age-Group Coach is responsible for coaching and managing the West Y Branch of the Boise Y Swim Team, as well as supporting the Boise Y Swim Team Head Coach with administrative duties, coaching of senior and national groups, and age group coaching duties as assigned by the Head Coach. This position will oversee safety, volunteer and staff development, team member development, seasonal planning, daily workouts, and goal setting. Aquakids Swim Team in Conway, AR has an immediate opening for a Head Coach. We are seeking a passionate coach committed to motivating and developing athletes from novice to state and national levels. The team currently has around 110 registered swimmers ages 6-18. The team currently has swimmers qualified for Zones, Sectionals, NSCA Juniors, Junior Nationals and National team members. Report to the Vice President (Artistic Swimming), National Artistic Swimming Head Coach and responsible in supporting the Executive Director. To ensure, that within the guidelines and constraints determined by Singapore Swimming Association (SSA), the assistant coach will assist the Head Coach in the overall high performance organisation and management of the Singapore National Artistic Swimming Team. Under the supervision of the Head Swim Coach, coach various groups of the age group swim team, with focus on the Jr. Longhorn and Longhorn groups. Give one-on-one and group instruction to improve swimmers’ technique and conditioning. Assist with practice planning, evaluation of swimmers, and assist with practice scheduling. SSAN is a fast growing club in the Spring/Woodlands area of Houston, Gulf Swimming. In our 10th year, with a roster of over 280 athletes, we are seeking an experienced coach to work with multiple practice groups within our program at 1 site. SSAN is a coach owned program. All team decisions are based on the continued focus of Building the Base through dedication, excellence, and tradition. Minnesota Swimming Inc. (MN Swimming) is a 501(c)(3) nonprofit Local Swimming Committee representing USA Swimming in Minnesota and western Wisconsin. 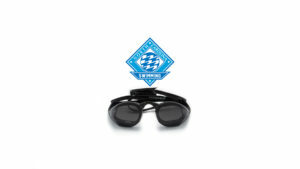 Approximately 65 swim clubs, 8,700 year-round athletes and 800 non-athletes constitute the membership. MN Swimming exists to serve the competitive swimming community from introductory swimmers to national and Olympic champions. More information is available at www.mnswim.org. Love kids? Want to make a huge difference in their lives? We can help you advance in your aquatics career or in whatever you choose. The Little Dolphins Swim Academy is a stand alone swim school in central New Jersey. Our facility is warm, clean and built so that we can teach seven days a week. We are growing fast and have openings for full and part-time instructors (if you are the right person, we will pay you to train you) and lifeguards. The Head Swim Coach (Age Group) will lead, design and foster systematic growth from the youngest novices to the Advanced Age Group level programs while working within the Team Mission, Vision, and Values of the National Training Center Aquatics swim team. Manage contract deliverables for sponsored teams, athletes and coaches. Actively drive team sales through sponsorship and promotional programs. Support sales and accounts at events in the Boston area. As the largest provider of family fitness programs and facilities, the Y continues to do all it can to serve its target market – families. Haverford Township residents have never had a community YMCA. This YMCA is uniquely positioned to meet the needs of the residents with family friendly programming. The Bolles School is a private college preparatory school with an international reputation for excellence. Located in Jacksonville, Florida, the school enrolls more than 1,650 day and boarding students in pre- kindergarten through grade 12 on four campuses. Bolles focuses on a complete education that emphasizes excellence in academics, the arts, athletics and other activities like clubs and community service. Students can pursue their interests and learn to balance a rich variety of activities. The Vicksburg Swim Association in Vicksburg, Mississippi (VSA) is a growing age group swim team with a current enrollment of 70+ swimmers. We offer a year round competitive age group program utilizing 1 outdoor and 2 indoor facilities. VSA is a 501c3 organization with an active and experienced parent board of directors. The Executive Director provides strategic leadership and direction to ensure Wave Aquatics achieves its mission through providing high-quality aquatics programming to Puget Sound’s Eastside community. In collaboration with the Board of Directors and the staff leadership team, the Executive Director is the key thought leader of the organization and responsible for developing and ensuring implementation of all strategic plans and initiatives. The Executive Director directly supervises the staff leadership team, which is comprised of: Aquatics Director, Swim Team Head Coach, Masters Head Coach, Water Polo Head Coach, and the Business Manager/Controller. We believe in focusing on the positive and building team camaraderie. The coach will work with our parents to create a unified team to help each athlete attain their goals in swimming. We are looking for someone who is passionate about swimming and excited to serve as a mentor, educator and role model. 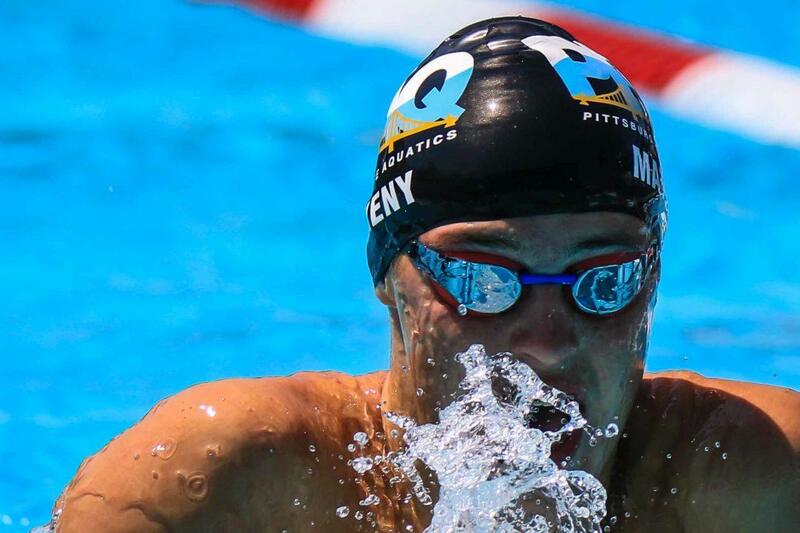 The current group of swimmers include a large number of Florida Age Group and Senior qualifiers/competitors with a goal to increase that number in the near future. Founded in 1883, Florida Southern College is a private, comprehensive college and the oldest college in Florida. Florida Southern maintains its commitment to academic excellence through more than 50 undergraduate programs and distinctive graduate programs in business, accounting, education, and nursing. Florida Southern has a 15:1 student-to-faculty ratio; is an award-winning national leader in engaged learning; and boasts 30 NCAA Division II national championships. It is ranked among the Top 20 Best Universities in the South by U.S. News and World Report; named a 2016 Top ROI College by Forbes; and included in The Princeton Review’s 381 Best Colleges and The Fiske Guide to Colleges 2017. MSA current has 600+ year-round swimmers on the team ranging from 6-18 years old, with novice swimmers to Senior National qualifiers. MSA has 4 sites in the Charlotte area and is hiring new Assistant Age Group Coaches at 2 of these locations. The coach must have technical expertise, outstanding organizational skills, strong communication skills and demonstrated success. 4-8 years coaching experience is preferred along with 4 year college degree and pass all USA Swimming background checks. Recruiting new swimmers from the summer league will be part of the the job duties as well as office hours. Applicants will only be considered who currently reside in the US. Under supervision of the Head Coach, provide support with coaching, recruiting, meet management, organizing and administering day-to-day operations of the swimming and diving program; provide support with team fund-raising activities, community services, etc. ; support the academic progress of student-athletes; and show commitment to and responsibility for adhering to all rules and regulations of Drexel University, the Colonial Athletic Association, and the NCAA. The Multnomah Athletic Club is currently looking to fill the position of a Aquatics Manager. The MAC is a private members-only Athletic Club located in downtown Portland, Oregon and recently celebrated its 125th year. The MAC swim team is a USA Swimming level 4, Bronze medal club (2013) with approximately 130 swimmers actively participating. North Coast Aquatics is looking for an experienced coach to work with our top two senior (high school aged) programs at our largest facility in Carlsbad, CA. The right candidate should have experience with all abilities from CIF qualifiers to national level. The position will include approximately 30 hours on deck (3-730 M-F & 7-10am Sat) Coach should be available for meets at least once a month. Strength training and/or dryland knowledge a plus. 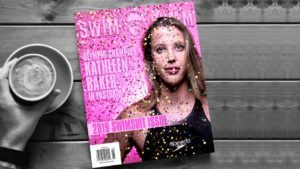 The fee to submit a Swimming Job is very low, only $50, and SwimSwam leverages the Swim Job to social media, @SwimSwamNEWS (with 100,000+ followers) and SwimSwam Facebook (with 643,000+ fans). I also leverage Swim Jobs on @GoldMedalMel (with 33,000+ followers) and GoldMedalMel Facebook (with 273,000+ fans). We’ve learned Swim Jobs are important to our audience. They like knowing what jobs are available in our big swimming family.